The weather is getting colder and the days are getting shorter, this is the perfect time of year for Family Portraits! It’s important to get family pictures taken regularly, especially with a young or growing family! Even as your children get older, it is great to look back on all your portraits through the years. 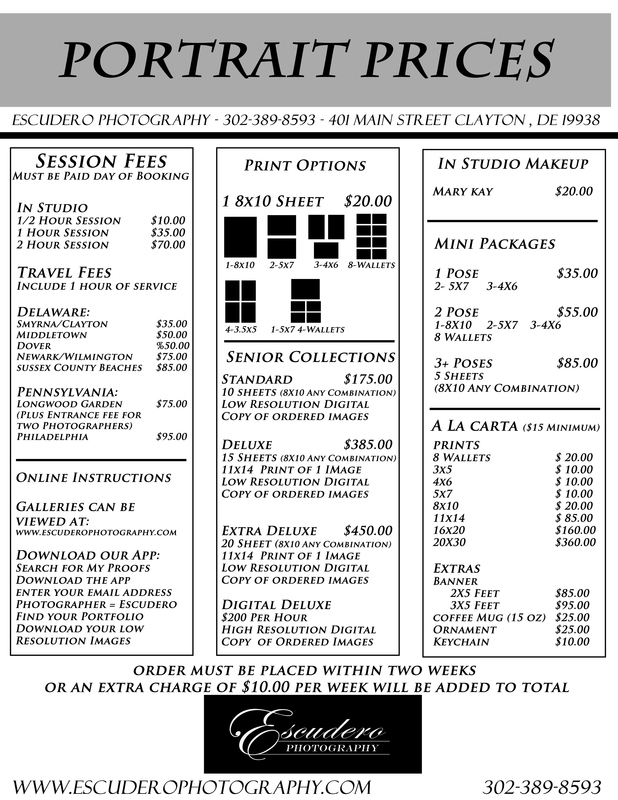 Escudero Photography is here to help! We have affordable prices for every budget and great package options to help you save even more. Stop by or give us a call to book your appointment today! This entry was posted in Family Portraits and tagged Delaware professional pictures, family pictures, family portraits Delaware, professional pictures Delaware. Bookmark the permalink.